These blurbs originally appeared in the RVA ON TAP section of RVA #31 WINTER 2017. You can check out the issue HERE or pick it up around Richmond now. 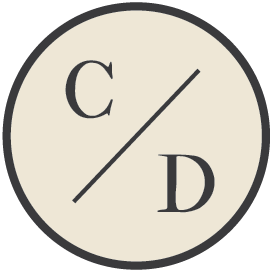 Chesterfield’s Steam Bell Beer Works is expanding into the Fan, albeit under a different name: Canon & Draw Brewing Company. Although the brewery was originally scheduled to open in late summer or early fall of 2017, construction did not begin until mid-October. Canon & Draw is now scheduled to open down the street from Foo Dog and Heritage in January of 2018, and will launch with ten different beers, as well as a variety of craft sodas also produced by Steam Bell. Steam Bell’s Trussings Craft Fizz craft soda brand, which produces intriguingly flavored fizzes like Berry Basil and Apple Sage, recently received a Made in Virginia award from Virginia Living magazine. The brewery has plans to begin canning the sodas in early 2018 and distributing them to local grocery stores and other retail locations. On the Steam Bell beer side of things, the brewery has some exciting releases planned for the early part of next year as well. 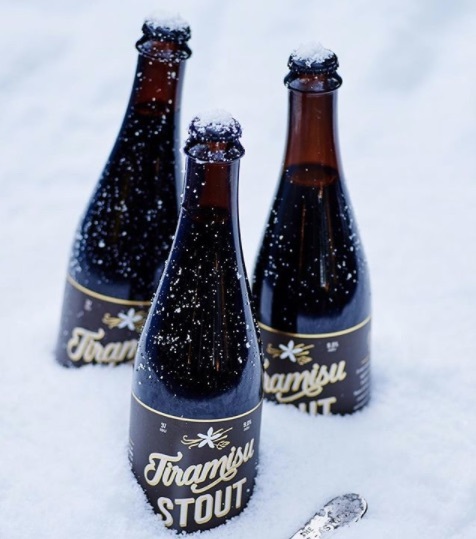 Tiramisu Stout, one of the brewery’s flagships, recently saw a bottle release. The coffee- and vanilla bean-aged imperial milk stout proved quite popular, selling out on release day. While the brewery already bottled two variants in November, one with coconut, and one aged in rum barrels, there are still plans to keep releasing variants in the early part of 2018, although details on those variants haven’t been hashed out quite yet. Also, be sure to keep an eye out for Elliebell, Steam Bell’s collaboration with Ellwood Thompson’s. Elliebell is a light-bodied saison made with local red beets, which lend an earthy sweetness to the beer; and local turmeric, which adds a zesty bite. 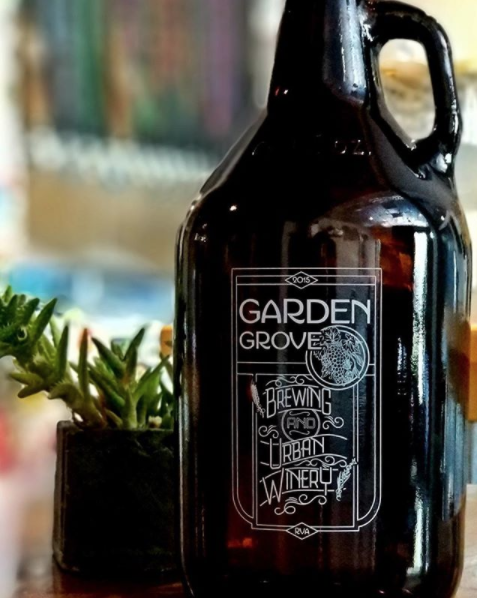 Richmond’s first winery opened on Oct. 21, when the rebranded Garden Grove Brewing & Urban Winery launched in the Carytown neighborhood. Joining their diverse beer selection are a wide range of wines, from the traditional Chardonnay and Petit Verdot to sparkling and still honey wines and even pyments, a grape and honey hybrid. Some of the wines will be available in bottles, but most will be served by the glass, an approach shared with their beer offerings. If the move seems unusual, it’s worth noting that co-owner Mike Brandt is a studied viticulturist and winemaker, who previously worked at Naked Mountain and Linden Vineyards before starting Garden Grove with Ryan Mitchell three years ago. 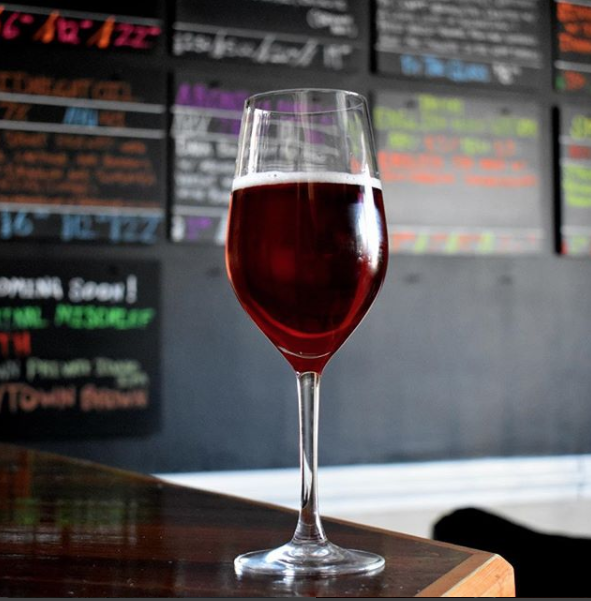 The grapes are grown on a half acre leased from Arterra Wines in Fauquier County before they use them for wine — and the occasional beer, such as Death, a Belgian-Style Quad made with Petit Verdot grapes. In the last few years, Richmond has seen breweries crop up and flourish beyond its city limits. Goochland’s farm brewery Lickinghole Creek, fellow Goochlanders Kindred Spirit Brewing, Midnight Brewery in Rockville, and Steam Bell Beer Works in Chesterfield County, just to name a few, have made a name for themselves with unique beers, drawing the craft beer lover out of their comfort zone. One that’s managed to fly under the radar a bit is Fine Creek Brewing Company, Powhatan’s first brewery. Located off Huguenot Trail, the brewery is operated by the folks that own The Mill at Fine Creek, a Southern wedding venue that opened in 2004. Co-owner/manager Mark Benusa and his family, along with Head Brewer Gabe Slagle, decided to expand with a farmhouse brewery, taproom, and beer garden on a separate five-acre property back in May. Fine Creek launched with a solid lineup of brews like Tractor Juice, a DIPA fermented with Fine Creek’s house saison; a tart farmhouse ale Grisette; a Pale Ale; and Tiger Yum Yum, a Thai Tea Milk Stout which blends flavors of a creamy Thai iced tea with roasted chocolate and vanilla notes. 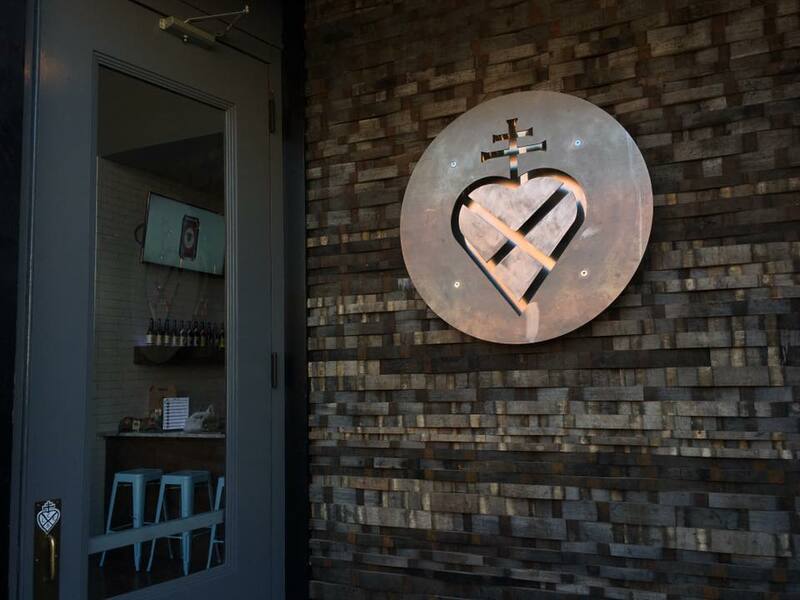 They’ve quickly expanded with their weekly beer releases, regular live music, and a seasonal, locally-sourced menu including the new addition of brunch, gaining support and appealing to local residents as well as city dwellers. The brewery has eight beers constantly rotating, and their most recent draft lift included the Sweet Potato Old Ale, made with sweet potatoes grown on their property; Fresh Pots! Breakfast Stout, made with Blanchard’s Dark As Dark Cold-Brew Coffee; the Turf and Twig Brown Ale; and Game Winner, a juicy, hazy IPA made with Citra and Amarillo hops. And don’t sleep on them this winter because Fine Creek is stocked to go with new brews, as well as more releases in the coming months. 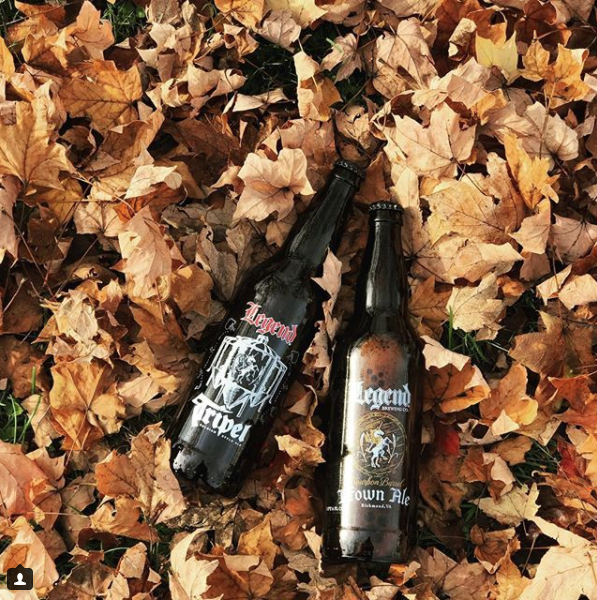 The Powhatan brewery has added some darker styles and more IPAs to its diverse lineup including a dark saison, brewed with dates. Their Imperial version of Tiger Yum Yum Thai Tea Milk Stout (pictured up top) and Powhatan Mimosa, a Belgian beer with Citra hops and orange juice, made their debuts recently, and be on the lookout for an imperial peated porter and an imperial stout made with molasses, both aged in whiskey barrels, which are slated to drop soon. Plans are also in the works this winter to start bottling some of their sour and wild ales, along with the whiskey barrel stouts and porters. Expect to see a limited amount of each on draft each weekend starting in the late winter and early spring. Lickinghole Creek Craft Brewery is celebrating Black Friday with the opening of their Goodwater Brewpub in Shockoe Bottom. Unlike Lickinghole Creek, which is known for saisons and big beers, Goodwater is serving up more accessible, lower-ABV beers, such as the Maidens Blonde Ale, Scarlet Honey hoppy red, and 9 Mile Goodwater IPA. Across town in Newtowne West, Hardywood is heading into the holiday season with multiple variations on their popular Gingerbread Stout. The first two variations are Christmas Morning, a coffee-conditioned version, and Rye Whiskey Barrel-Aged GBS. 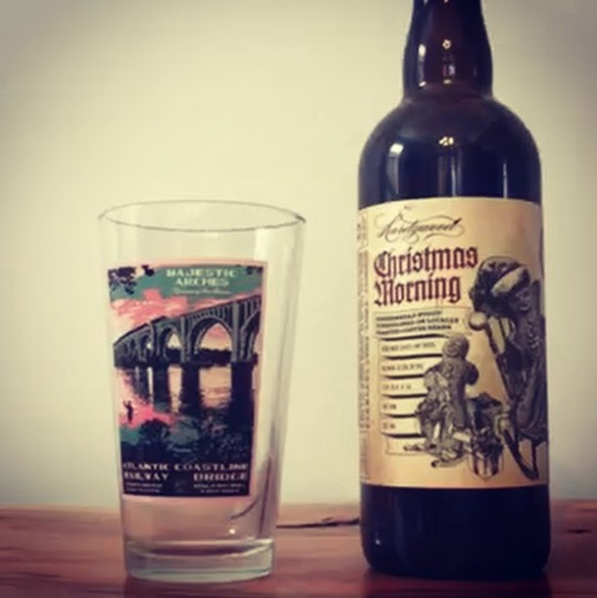 On Dec. 9 they’ll release Kentucky Christmas, a Kentucky Whiskey barrel-aged version of Christmas Morning, followed by Double Barrel GBS, a mix of rum barrel- and bourbon barrel-aged Gingerbread Stout, on Dec. 16. This last release is timed to coincide with a public art project where visitors will be invited to paint on four barrels. The winter seasonal at Legend Brewing Company is an English-Style Amber, named Ember Ale. They also have a limited variant of their flagship Brown Ale for Jan. 16. 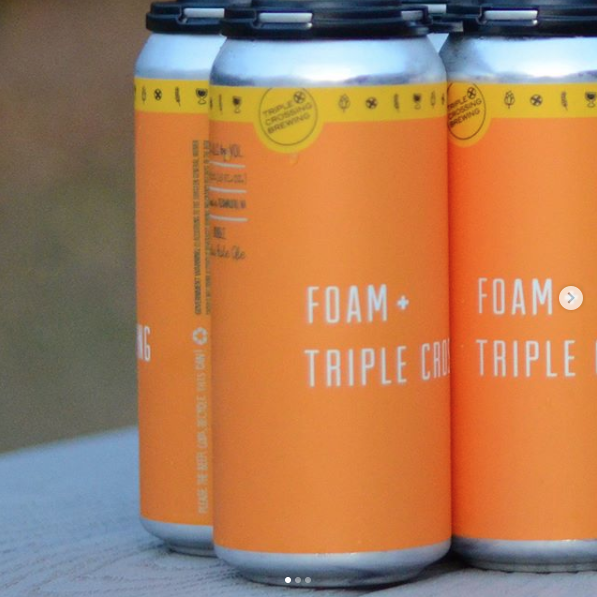 In keeping with the name, Triple Crossing Brewing Company is issuing three releases for the beginning of 2018. The line-up consists of Interstellar Burst Double IPA, Clever Girl IPA, and a new fruited variant of their Waxing Poetic Berliner Weisse. This will be the first appearance of Interstellar Burst since it was awarded second place in Paste Magazine’s taste test of 176 IPAs from 170 different breweries.